The Silent University (London, Stockholm, Hamburg), New World Academy (Utrecht), School of Missing Studies (Amsterdam), The School of Narrative Dance (nomadic), Open School East (London), La Ivan Illich (San Juan), Campus in Camps (Bethlehem), School of Engaged Art (St. Petersburg), School of Echoes (Berlin, Los Angeles, New York). Visible. Office and Project space is pleased to announce its new program hosted at 50°49’19.50”N 4°21’25.53”E galerie de l’erg (école supérieure des arts, Brussels) looking at socially engaged artistic practices in a global context titled Art as something else. 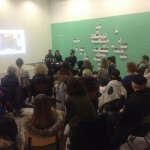 The program will unfold focusing on main overarching topics recognised as some of the existing red threads within the artists practices supported by and connected to the Visible project since its inception in 2010. 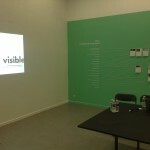 Exhibitions, lectures, round table talks, project in residency, screenings and other activities will give form to the discursive platform that the Visible project would like to establish in dialogue with artists, curators, guests, erg’s students, teachers, researchers, staff, and Brussels audiences, while developing the 2015 Visible Award public jury, chaired by Chris Dercon (Tate Modern director, London) and hosted by Tate Liverpool in the fall of next year. 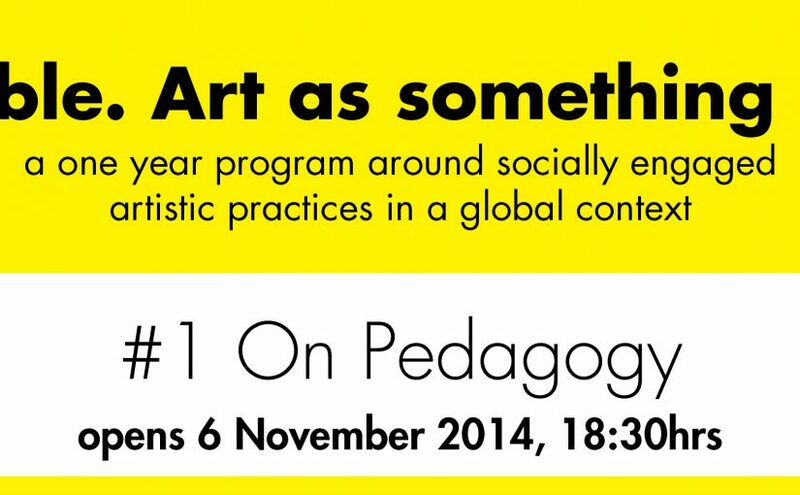 The first session of the program, On Pedagogy, is dedicated to new pedagogical models initiated by contemporary artists, and will open on Thursday 6 November at 6:30pm. 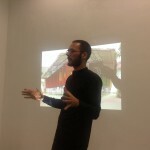 Mainly inspired by The Silent University project — recipient of the 2013 Visible Award — initiated by Kurdish artist from Turkey Ahmet Ögüt, this first platform aims at creating a deeper connection with the art academy that is hosting the Visible. 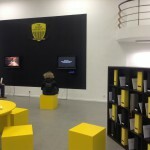 Office and Project space, activating discussions from the perspective of existing educational models. On the opening night we will host the first of three conversations with artists who have started educational platforms as artistic projects in recent times. The panel will feature Emily Fahlen, Stockholm Silent University coordinator and Jonas Staal, artist and initiator of the New World Academy. 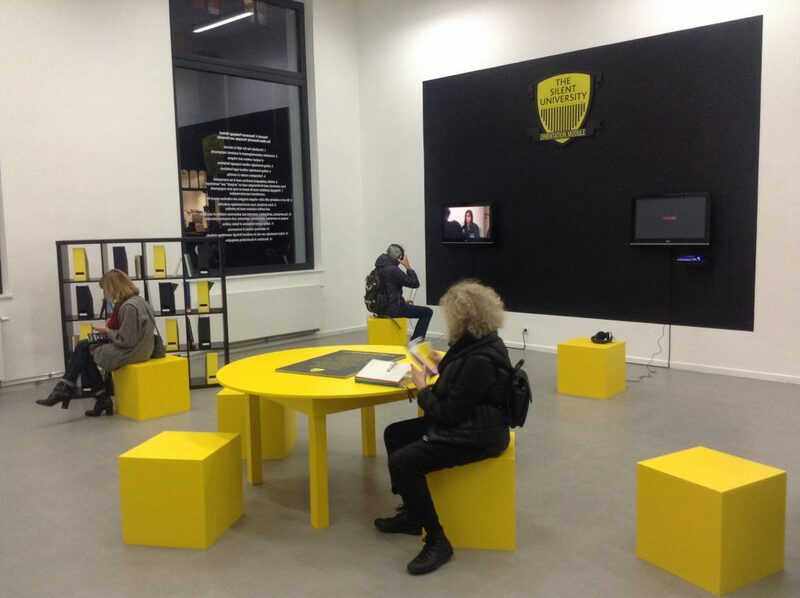 The Silent University, founded in 2012, is presented as an orientation module, where a display rich with video and textual materials, elaborating this autonomous knowledge exchange platform led by refugees, asylum seekers and migrants, who have had a professional life and academic training in their home countries, but are unable to use their skills or professional training due to a variety of reasons related to their status. Currently there are three campuses of the Silent University, operating in London, Stockholm, and Hamburg. 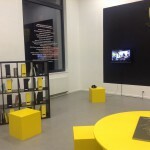 Each campus runs thanks to the support of different art institutions, such as Delfina Foundation, The Showroom, Tensta Konsthall, ABF Stockholm, Stadtkuratorin Hamburg, and W3 – Werkstatt für internationale Kultur und Politik in collaboration with several NGOs, and the work of the coordinators, who keep the network of lecturers and consultants alive by producing events, meetings and new reflections on the project. 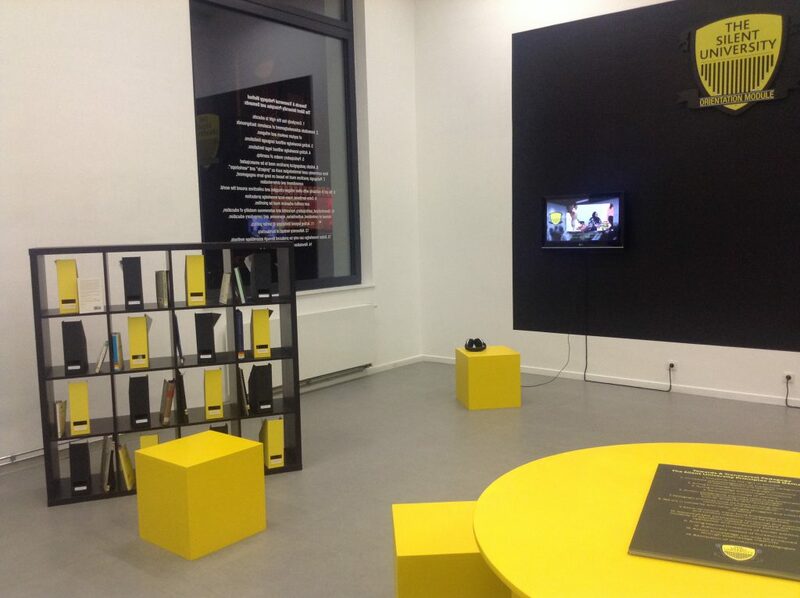 During the yearlong program, the Silent University office display will function as a working space where the idea of a Brussels branch of the school will be envisioned and discussed, involving local asylum seekers and refugee associations together with civic society organisations. The Visible. Office and Project space program is is conceived by the Visible team with the curatorial assistance of Alessandra Saviotti and it is generously supported by Cittadellarte – Fondazione Pistoletto and Fondazione Zegna. 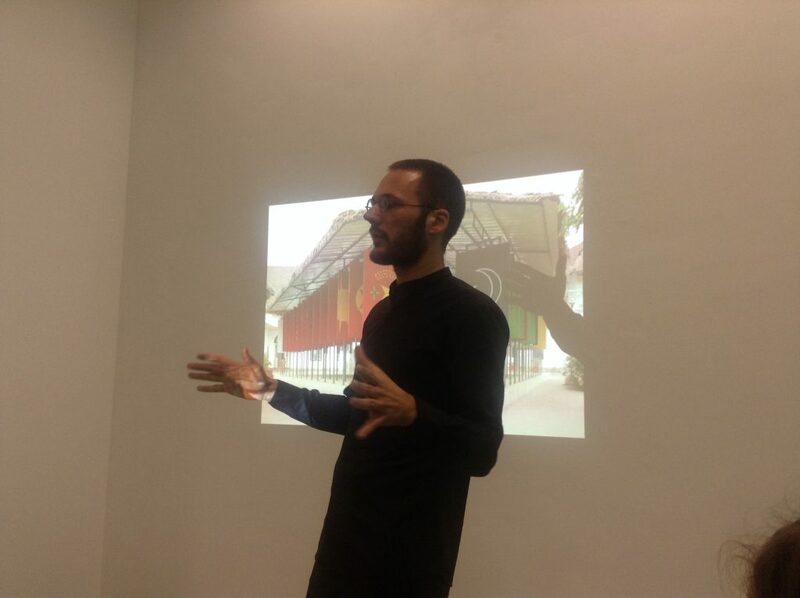 – Opening of the The Silent University orientation module, project initiated by Ahmet Ögüt and recipient of the 2013 Visible Award. 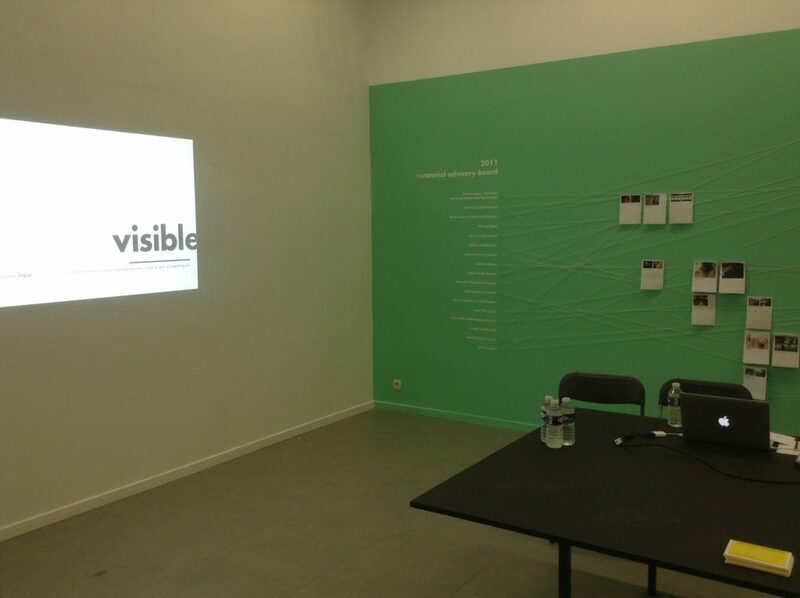 – Presentation of the Visible project, its past, current and future plans by Matteo Lucchetti and Judith Wielander. – Talk with Emily Fahlén (Stockholm Silent University coordinator) and Jonas Staal (initiator of the New World Academy, Utrecht). – Talk with Marinella Senatore (School of Narrative Dance founder) and Anna Colin (Open School East project co-founder and director, London). 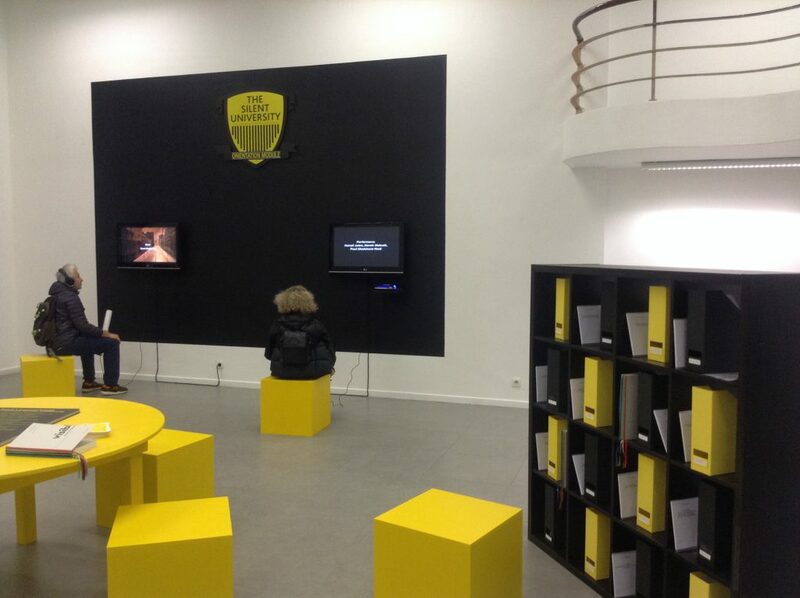 Skype interventions by Beta Local (La Ivan Illich open school) and Bik van der Pol (School of Missing Studies initiators). 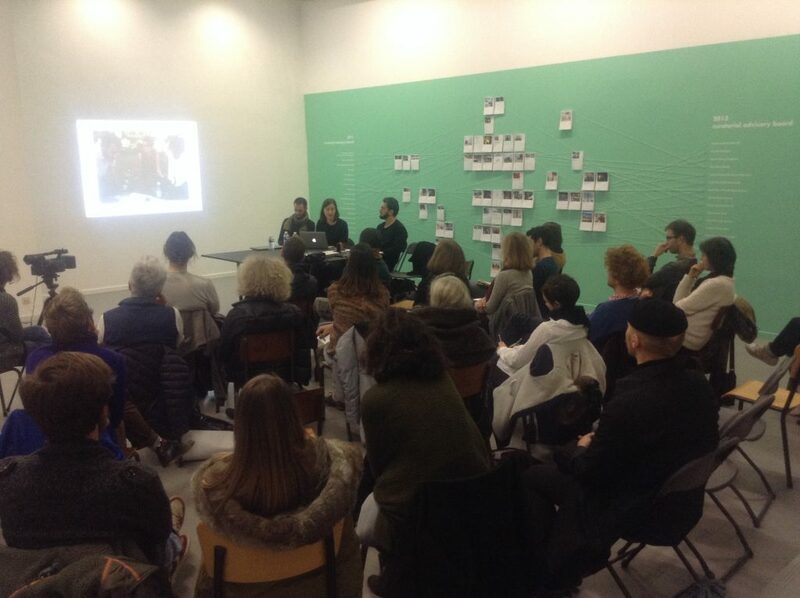 – Round table with Alessandro Petti (Campus in Camps, Decolonizing Architecture, Bethlehem), Pascal Gielen (Associate Professor of Sociology of Art, Groningen University), Dmitry Vilensky (School of Engaged Art, Chto Delat?, St Petersburg). 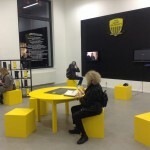 Skype interventions by Nora Sternfeld (Professor of Curating and Mediating at the Aalto University, Helsinki) and Ultrared (School of Echoes).